You know, when you have a child who is fighting cancer, you just want her surrounded by caregivers who will love her, laugh with her, cry with her and take the best care ever of her. That is Tiffany. Tiffany was a nurse at Primary Children's Medical Center in Salt Lake City when my daughter was diagnosed and admitted for treatment. Over three years we were blessed to meet many wonderful caregivers and Tiffany was one of our favorites. She always brought a smile into the room and my Natalie just loved her. Sometimes this crazy life takes twists and turns that we don't ever imagine in our lives and now this sweet friend is on the other side of the chemo bag, the other side of the transfusions, the other side of the bald head, the other side of a battle for her life. This is a tribute to her. 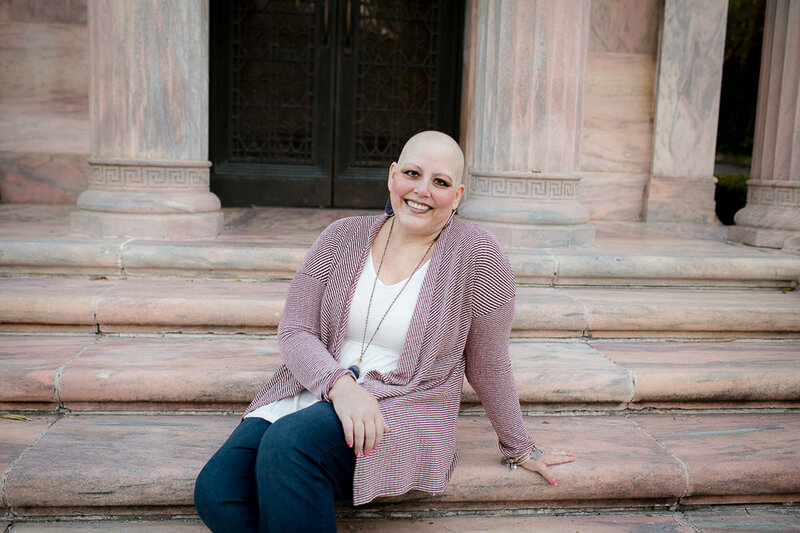 "I was first diagnosed with breast cancer stage IIIB in March 2013. I did chemo, then had a mastectomy followed by radiation and reconstruction. I thought I had it beat but I started having a dry cough in the fall of 2015 and unfortunately the chest x-ray confirmed it was back but this time in my lungs, sternum, hips, spine and pelvis. Standard treatment wasn't working so they tested some fluid that started accumulating around my lung. It showed my cancer had mutated to the most aggressive, hardest kind of breast cancer to treat. There is no cure and my doctor has given me about 2 years. On November 19 it will have been one year since the beast returned. I'm determined to prove my doctor wrong...I have too much left to do! He agrees and hopes I do prove him wrong!" I am so thankful that I have the chance to know Tiffany! My heart is touched by her as she battles this monster that takes way too many lives. Thank you, Tiffany, for allowing me the opportunity to photograph you and your darling family. My love and my prayers are with you and them as you fight on!